This week we continued development of Pray, Prey. Mostly making new props and refining code from the prototype phase. The programming team got expanded with another member, this enables us to add in features we would otherwise not have had time for. The team is still deciding what to add, and we will get a clearer view on what we can do near the end of the second sprint. As some of the tasks in the second sprint were taking longer than anticipated, we could just pass some of the tasks over to the new team member. The main addition we would like to add in the next sprint is a system to randomly spawn pickups on certain locations in the current camera view. This spawning rate will then increase at the end of the level, during the frenzy mode. 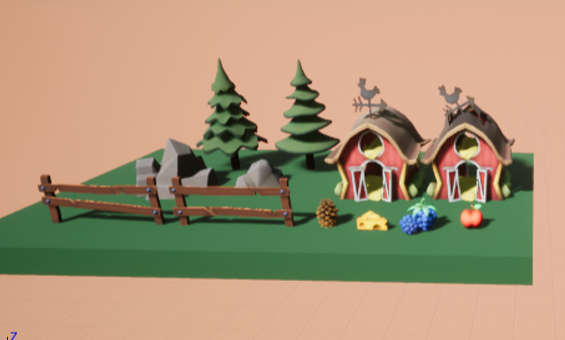 This week's progress includes finishing the movement for the hawk and the mouse, as well as implementing some of the first interactable items like the cheese, apple and bird nest. The art team continued working on making both static and interactable props for the game. We feel like we have a large enough number of props to start building a level with, this will be one of the main priorities for the week to come because having a playable game for the sprint review would be great. Alongside the props for the level, we also continued work on the 2 main characters in the game. 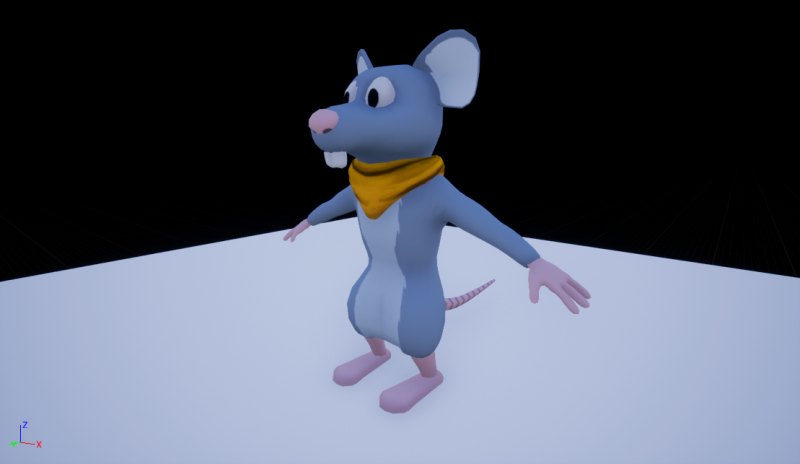 We now have a completely finished model, as well as textures and animation for the mouse. This will enable the programmers to start implementing the animations for the mouse in the week to come. The hawk should be finished somewhere in the coming week, we are currently not sure if they will be implemented by next week for the sprint review, but we will try our hardest.